This prospective comparative clinical trial study aims to investigate the postoperative stability of the double-jaw surgical treatment of skeletal Class III deformity and to compare two different mandibular surgical approaches. The study goal is to locate the relapsing direction of both the maxilla and the distal segment after either bilateral sagittal split ramus osteotomy (BSSO), or intraoral vertical ramus osteotomy (IVRO). Twenty-two (22) patients with skeletal Class III were included in this study. The patients were treated with double-jaw surgery by LeFort I osteotomy combined with either BSSO or IVRO. Lateral cephalograms taken before (T0), immediately after (T1), and 1 year after the surgery (T2) were studied and analyzed. The mean mandibular setback and maxillary advancement in the BSSO group were 6.22 mm at B Point and 2.93 mm at A point with relapse percentages of 24.9 and 26.6%, respectively, while the mean mandibular setback and maxillary advancement in the IVRO group were 2.55 mm at B point and 5.89 mm at A point with relapse percentages of 22.1 and 23.5%, respectively. The magnitude of the setback significantly accounted for the relapse. One-year follow-up revealed that the maxilla would be displaced posteriorly and inferiorly in both groups. 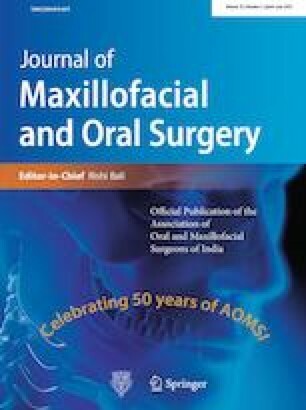 Regarding the direction of the mandibular relapse, the mandible in BSSO surgical group was displaced forward and upward, while in IVRO surgical group, the directions were completely different in which the mandible is displaced backward and downward. RA, AA, FA, and MA designed and performed the study, carried out the literature research and manuscript preparation. RA, AA, FA, MA, AF, TA, PV, SAl, ZAl, SE, AY, and LA were responsible for critical revision of scientific content and manuscript review. All authors approved the final version of the manuscript.